ISLAMABAD - Senate Chairman Muhammadmian Soomro Friday took oath as Pakistan's prime minister of the caretaker cabinet, according to the state-run PTV. President General Pervez Musharraf administered the oath at the Aiwan-e-Sadr presidential palace in the capital of Islamabad. At the ceremony, Musharraf said that it was the smoothest government transition in Pakistan's history. 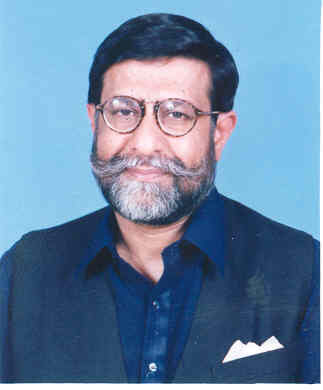 Mohammedmian Soomro was appointed as the caretaker prime minister after the National Assembly, lower house of the parliament, and the government led by Prime Minister Shaukat Aziz was dissolved on the completion of the five-year term. The oath taking ceremony was attended by outgoing Prime Minister Shaukat Aziz, former ministers, services chiefs and top civil and military officials. Mohammedmian Soomro, a former banker, was working as Senate chairman till his new assignment. The 57-year-old Mohammedmian Soomro, a close confidant of Musharraf, is from a renowned political family of the southern Pakistani province of Sindh that has been active in public life since 1923.